I hope you are having a restful and enjoyable Sunday. I am showing a couple of my finishes and some things I am in the middle of. Espero que estéis pasando un maravilloso Domingo, descansando y disfrutando de vuestro tiempo libre. Os voy a enseñar un par de cosas que he terminado y otras en la que estoy trabajando. Below you can see a detail of the frame. Abajo podeis ver un detalle del marco. 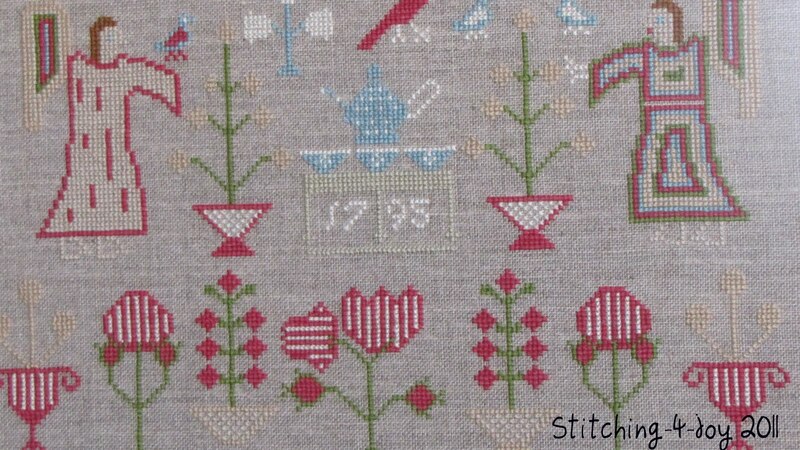 This is the top section of the sampler up close. Esta es la parte de arriba del Sampler. This is the middle section of it up close. I realized, once I had it all framed that I had not stitched the hand from the angel on the left !!!! So that is my accidental way of making it a bit different and personal, because I was certainly not going to undo everything to fix it, so the poor angel is handless !! Esta es la parte central. Si os fijais bien vereis que se me olvido bordar la mano del angel de la izquierda !!! Esta es mi manera accidental de hacer este Sampler distinto y personal, porque de ninguna manera lo voy a deshacer todo para corregirlo, asi que el pobre angel esta manco. 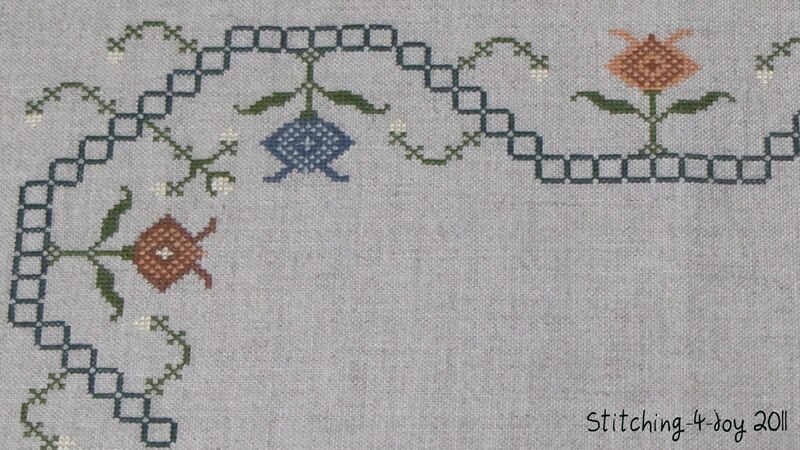 Below is the bottom part of the sampler and my favorite of all. 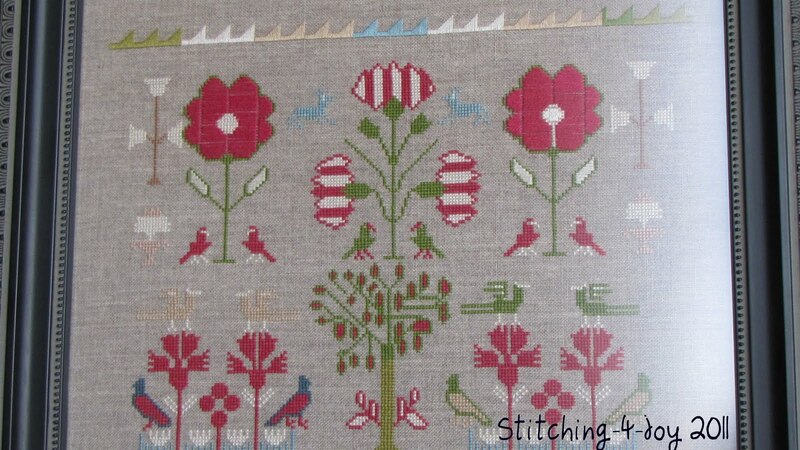 It is stitched over three threads and I just love the richness of it with all the satin stitches. Love the acorns at the bottom too. Esta es la parte de abajo y mi favorita. Se bordo sobre tres hilos y me encanta la riqueza del satinado. Las bellotas abajo del todo me encantan !! 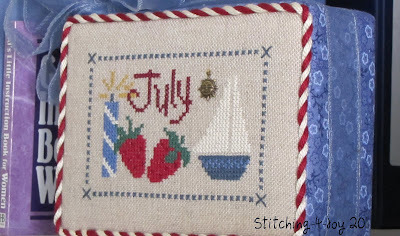 I am also participating in a couple of SALs.... Below is the one from With My Needle. It is I Sigh Not For Beauty from C Street Samplers... 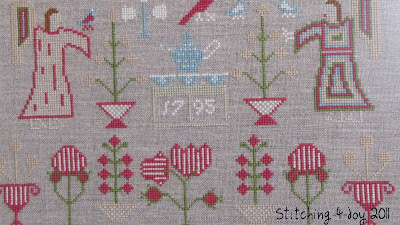 So far it is an easy stitch and I am all caught up... 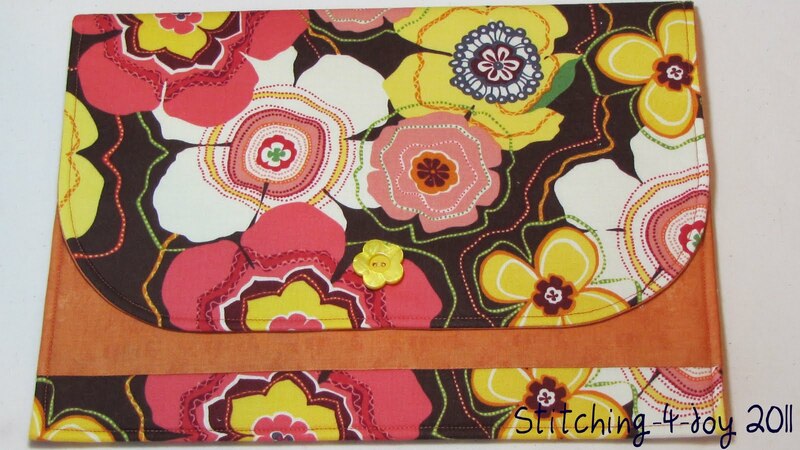 I am not sure yet about it: the fabric, the colors.... I am going to have to see more of it to decide if I love it or just like it. Estoy participando en un par de SALs... Abajo podeis ver el primero de With My Needle. Se llama I Sigh Not For Beauty y la diseñadora es de C Street Samplers. De momento ha sido facil de bordar. No estoy segura todavia de si me gusta, voy a tener que bordar un poquito mas para decidir si me encanta. 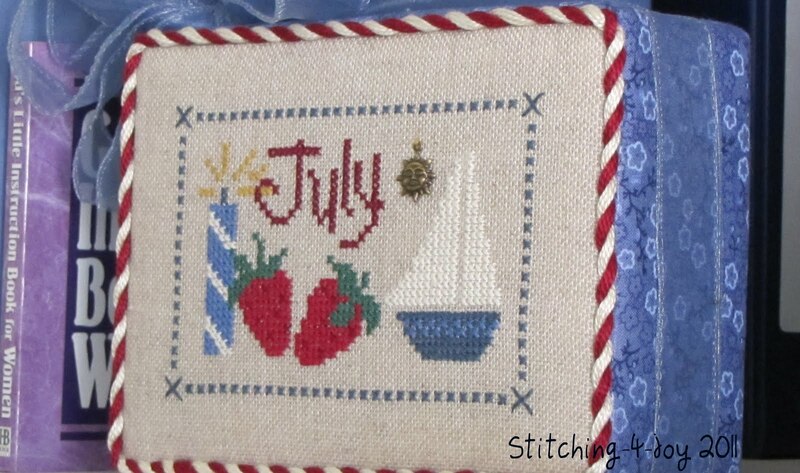 My other SAL is the Spanish Mystery Sampler from Shakespeare's Peddler that The Attic is doing. This is a huge baby and I am not caught up at all. But I started it a bit late in the month. 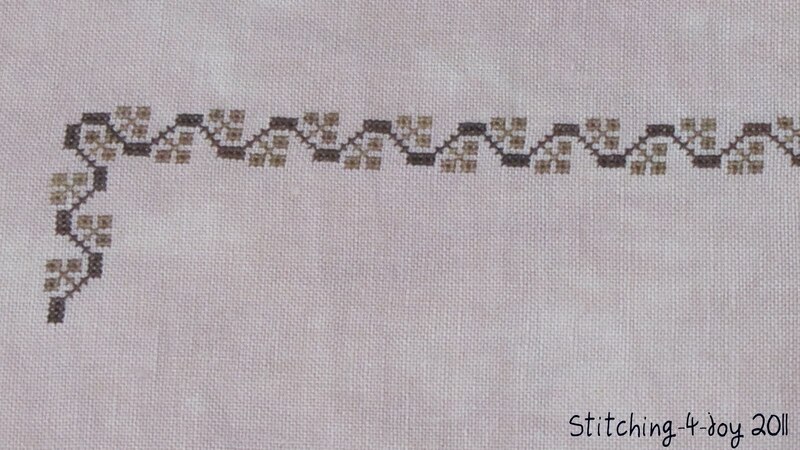 I am very excited about it, and can't wait to have more stitched. 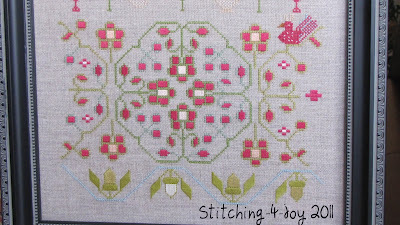 I've got to tell you that the little flowers in the border are tedious, tedious, tedious.. See below. Mi otro SAL es el Spanish Mystery Sampler de Shakespeare's Peddler. Este proyecto es enorme, pero precioso. Tengo que deciros que las flores del borde son muy pesadas de bordar. 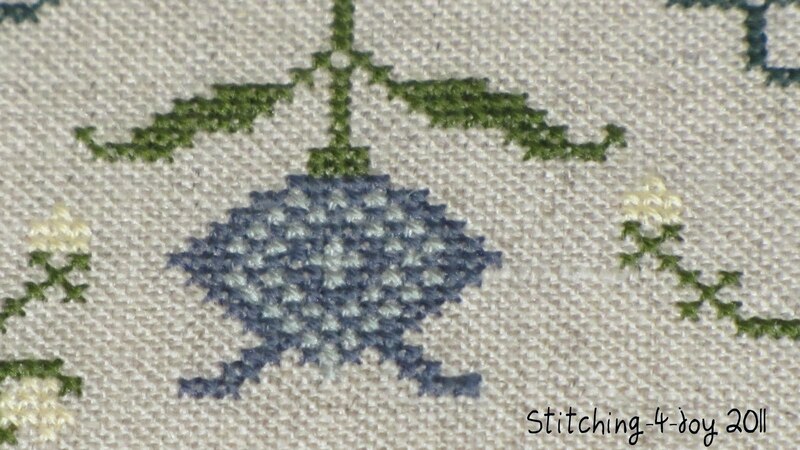 Here are the little tedious flowers. Yikes !! 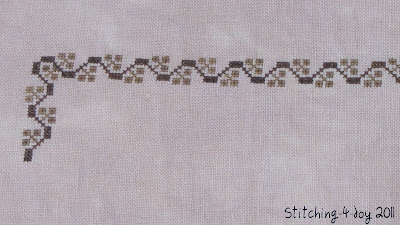 I can't wait to get more color in the sampler... It looks kind of sad right now. Aqui están las florecitas. También tengo que añadir un poco de color porque de momento tiene un aspecto bastante triste. 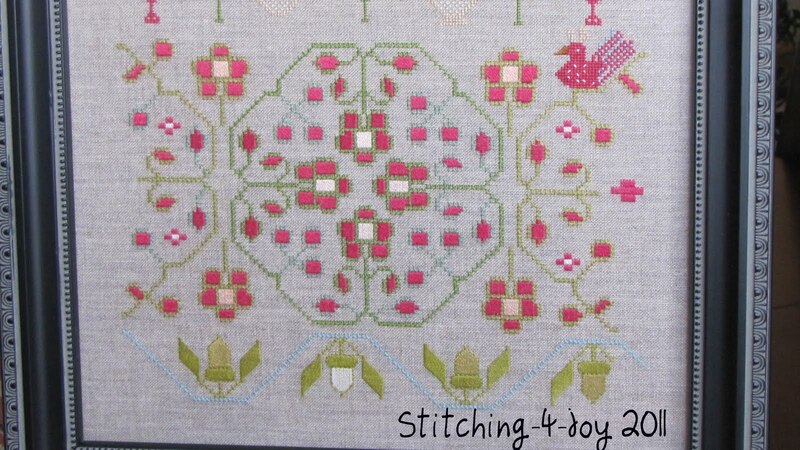 I had the chance to take a finishing class at my LNS last Saturday and here is the final product. 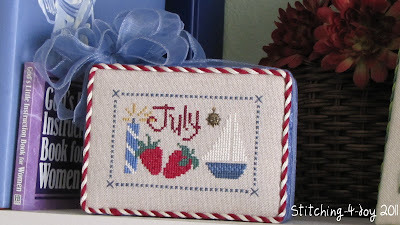 I had this little guy stitched for years and I am glad I finally put it to good use. I finished it into a box with a bow and all. Take a look. El sábado pasado tuve ocasión de ir a una clase para aprender a hacer una caja a la que se le añade un bordado de punto. Aquí lo podéis ver con el lazo y todo. Here you can see the bow. I left it on it, but I am not sure about it. I am not much of a bow person. What do you think? Aqui esta el lazo. Lo he dejado como esta, pero no estoy segura de si me gusta o no. Yo no soy muy de lazo. ¿Que os parece? Below is an acorn I found at Anthropologie. Do you guys know this store? It is quite great and they have a mixture of clothing, kitchen ware, bedroom stuff.... Just different. Beautiful fabrics.. So I walked in one day and there was this little guy staring me in the face and I thought, oh I have to have it, but what can I do with it?? Abajo podeis ver una bellota (es una bellota, ¿verdad?) que encontré en una tienda aquí en Colorado. La tienda se llama Anthropologie y tiene cosas muy divertidas, desde ropa a utensilios de cocina, ropa de cama... Pues fui a la tienda hace unas semanas y esta bellota me llamaba y me llamaba, asi que la compre pensando que podría hacer con ella. And this is what I did. I made it into the tiniest pin cushion. Isn't it the cutest thing? I love it !! Y esto es lo que hice. Un pin cushion chiquito. ¿A que es adorable? Me encanta !! 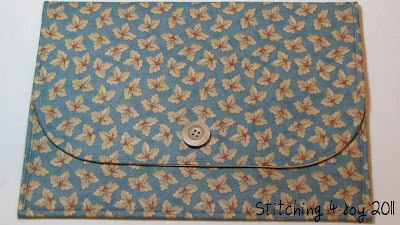 And finally, if you read my last post, you know that I have been making some Stitch Wallets and that they are for sale. Go check them out here and let me know if you are interested in any of them. They are perfect to keep your projects or as gifts. I think the size is perfect, as it allows you to carry them by themselves or in your bags. I keep adding new ones very regularly and below are some of the new ones. Y finalmente, si leísteis mi ultimo blog post, sabréis que he estado haciendo carteras de tela para guardar los proyectos de punto de cruz y que las estoy vendiendo. Las podéis ver aquí. Son perfectas para guardar proyectos o como regalos. El tamaño es perfecto porque permite llevarlas solas o meterlas en una bolsa. Son muy divertidas..
To all of you that have bought one from me, I do thank you kindly. I have gotten great feedback from all of you and really I appreciate that. I hope you will love them and enjoy them. Well my friends... this is it for today. This was a long post for me !! Thanks so much for stopping by... I appreciate your time and wish you a wonderful rest of your Sunday. Pues esto es todo queridas amigas. Muchas gracias por pasaros por aquí. Espero que paséis un Domingo maravilloso y una buena semana entrante. Natalia, your stitching is gorgeous, as is your hand work and sewing. 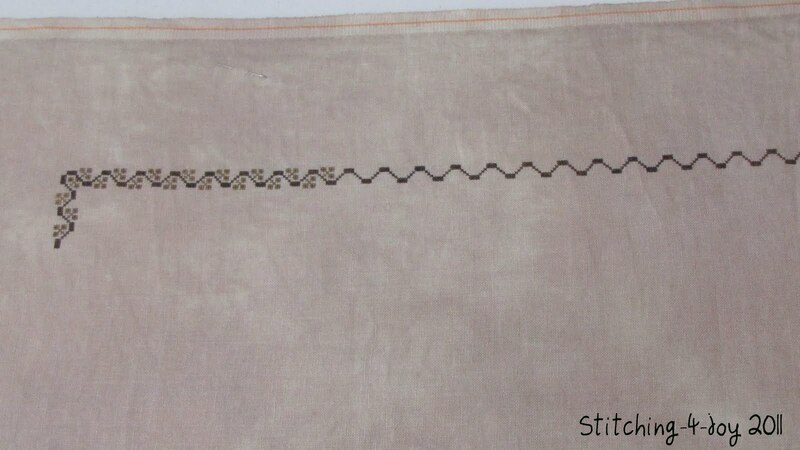 Can witness first hand to the perfection of your stitch wallets. Received and am VERY pleased, thank you! 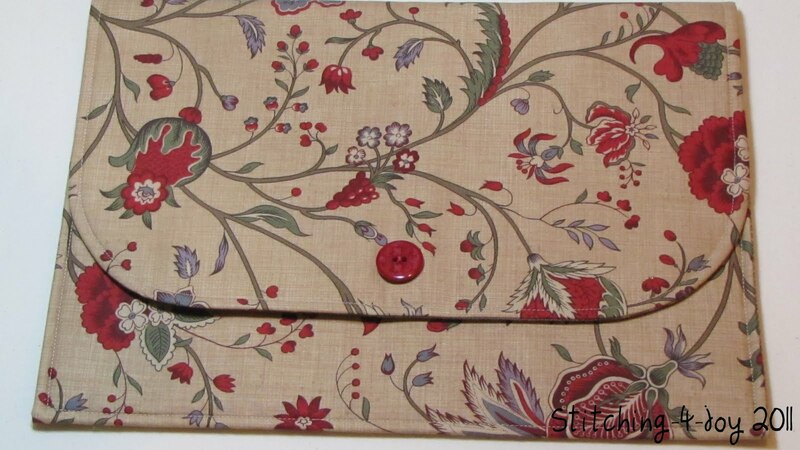 Now you have me wanting another, that red floral print, just LOVE that! 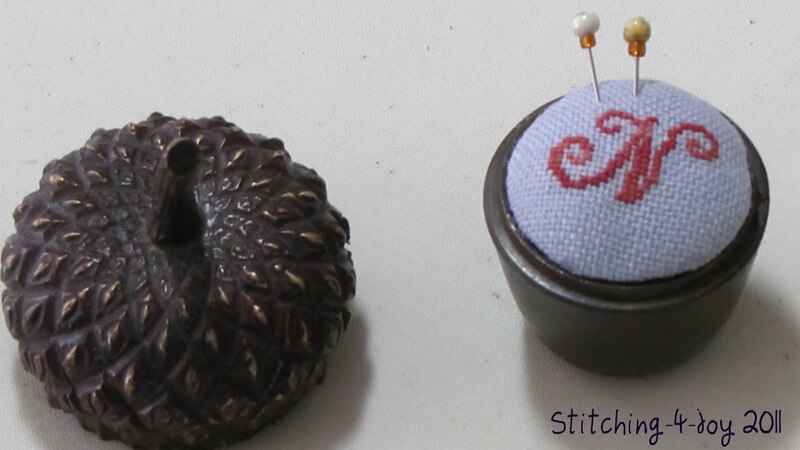 And I adore your acorn pincushion!!! It looks lovely, your finished box, but I would opt to remove the bow...course I am not a bow person either. Please don't throw a wet noodle at me! Wow! I love that Angel Band Sampler! And the frame is perfect too! Who designed this one? I've never seen it before and it's just beautiful! The missing hand just makes it unique. :D I love your Sigh not for Beauty so far. Hope you're happy with the fabric/fibers. The Spanish Sampler does look tedious at the moment. But it's so gorgeous! Keep on plugging! 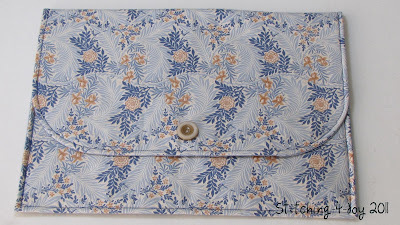 I will post tomorrow about the lovely wallet I have. I've been using it for my current project and I just love it! I really like the new ones you have. Pretty! Oh! And the finishing class piece. Wow! Great job! The ribbon is cute, but if it's not your thing I certainly think it would look just as great without it. Finally that acorn. OMG!!! That's just wonderful, what you did with it!!!! I wonder if Anthropology sells the acorn online. 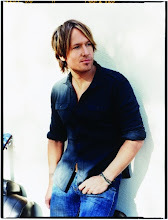 :D Wonderful!!! I love this newsy post! Your Angel Sampler is stunning...missing hand and all. I love the frame! 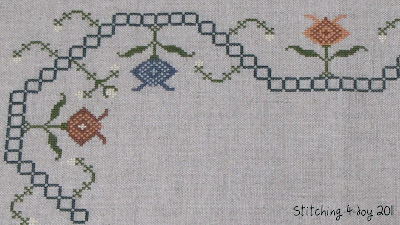 I am going to watch your progress on the Spanish Sampler. I was close to doing the SAL too but AotH is keeping me busy enough. Your cube finish is super cute and I like the bow but it would look great without too. And the acorn...so clever! I love it! I wonder if I can find one here...Anthropologie is a block away. 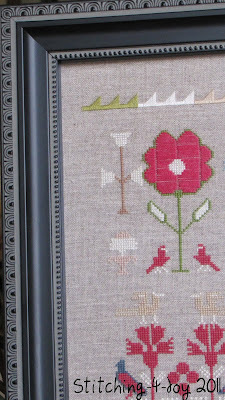 Love, love, love the framed angel sampler. The molding is perfect and the poor handless angel makes it unique :-). Cute starts on I Sigh Not and the Spanish Sampler, can't wait to see them in person. I like the bow but if you don't it's 'necessary'! You know I love the wallets, they are my new guilty obssession, LOL. 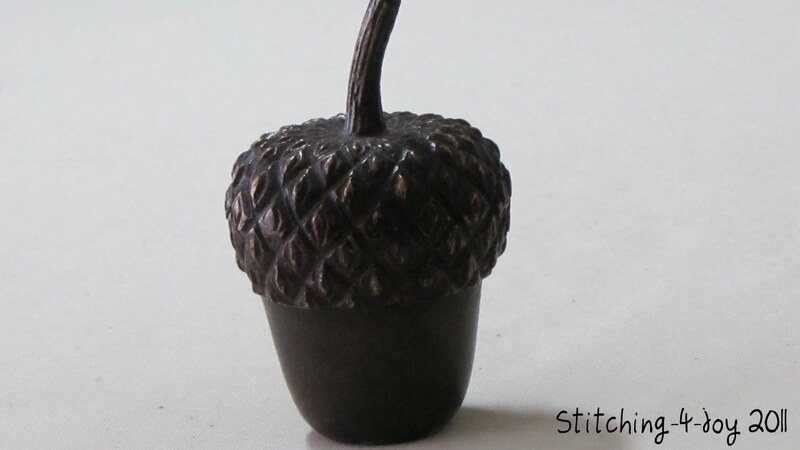 Oh and I love the acorn, and I was in there yesterday and forgot to look for one :-(. Love the Angel Band Sampler! The little acorn-pincushion is adorable!! 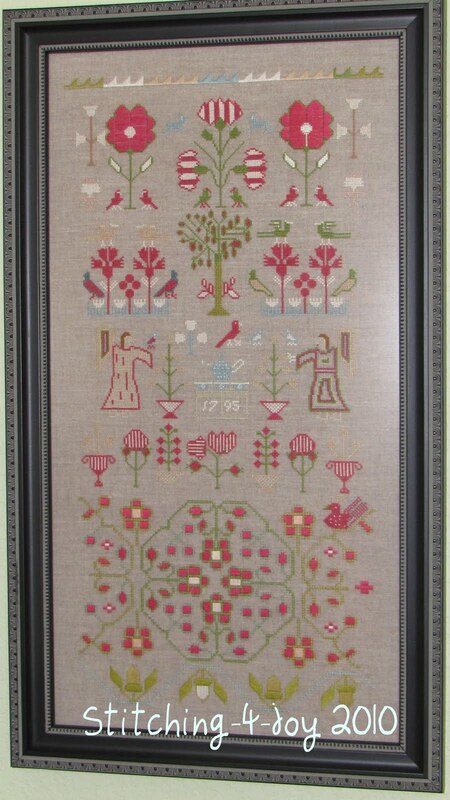 Your Angel Sampler looks beautiful framed! You must be thrilled with it. And your two SALs are gorgeous too - I love that Spanish Mystery!!! 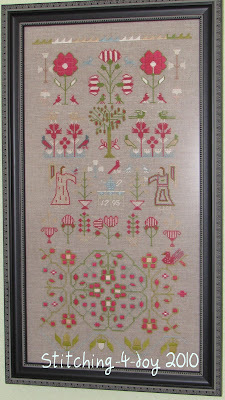 Gorgeous Angel sampler, love the frame too. Your bags are beautiful, good luck in selling them. Natalia, you have been very busy with so many beautiful pieces! I love your progress on the Angel Band Sampler, and the darling acorn pincushion is so special. I just love your stitch wallets too...so unique and such a great accessory for every stitch lover's favorite stitcher to own! La bellota me encanta!! Es preciosa y tuviste una idea genial al convertirla en un pincushion. El sampler de los ángeles es maravilloso. 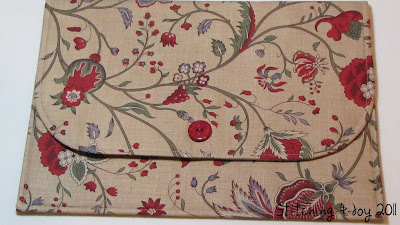 Your stitching is beautiful and those wallets are fantastic! I most love the missing hand - makes the piece most unique and totally yours! You have been busy with lots of lovely projects! I do love your framed piece! 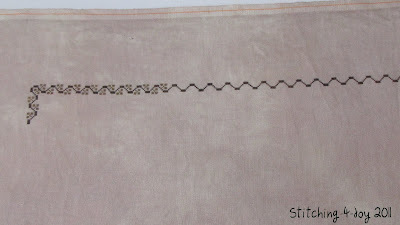 Natalia, your stitchiing is just fabulous!! I love that little acorn. I've only been to Anthropologie once but oh my gosh, what a fun store. 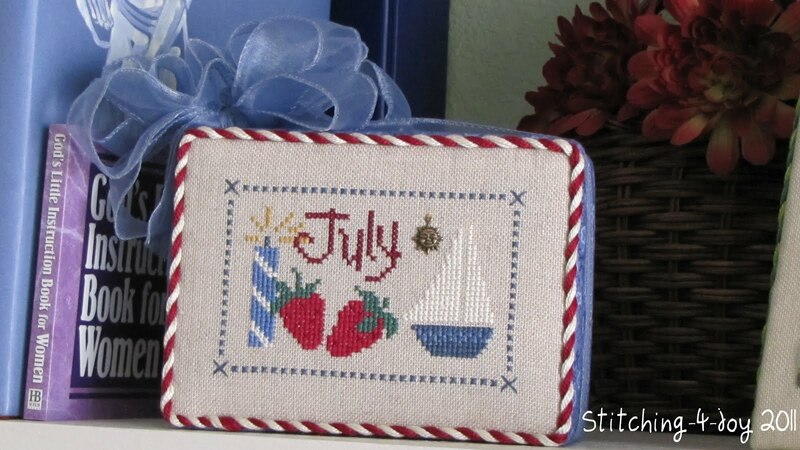 I love love love your framed sampler! It is so pretty. I had to laugh at the angel missing his hand (maybe the bird pecked it off??) because I've done that more times than I care to count! LOL It still looks incredible and I doubt anybody but you will notice. Love the sampler SALs that you're doing! 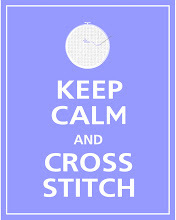 All your stitching is so beautiful! Love Angel Band Sampler, to frame is perfect too - you can be very proud to have that piece on your wall! Well done on the box finish - it looks great - I would remove the bow though - I'm not a bow person either :). Can't wait to see more of your progress on the other lovely pieces! Oh, Natalia, your Angel Band Sampler is stunning--and the missing hand just makes it more special! 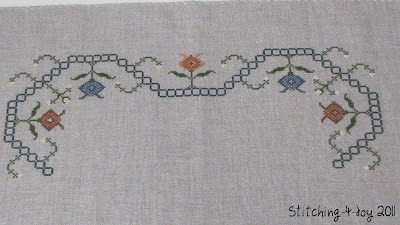 Your stitching pieces are beautiful, Angel band sampler is stunning! Hola Natalia, acabo de descubrir tu blog y me ha encantado. Haces unas cosas preciosas!! 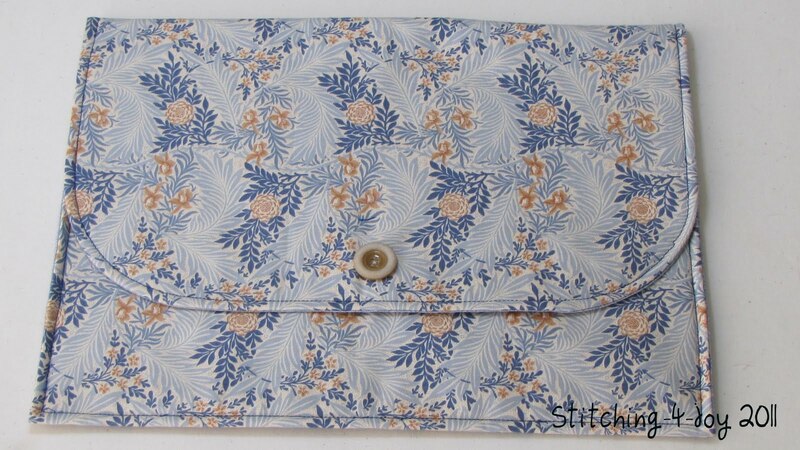 I would like to purchase a stitching pocket. How do I order one? 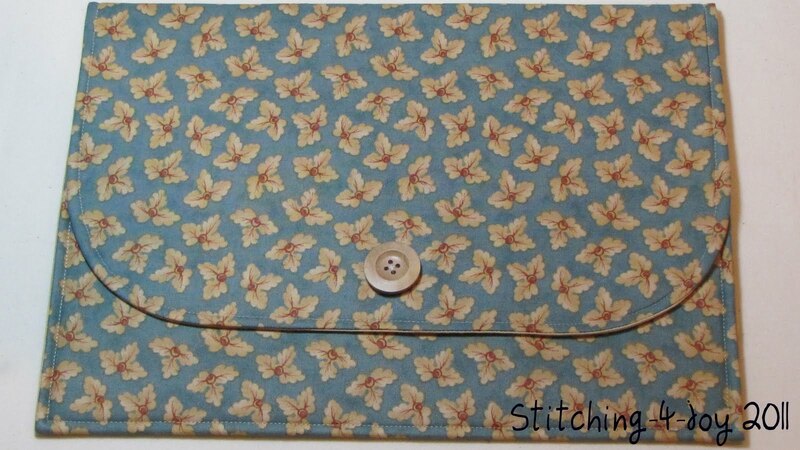 I would like to order a stitching pocket. How do I do that?